On July 1st, 2013 begins the Rencontres d’Arles 2013, the international, annual and major event for all the photography lovers. 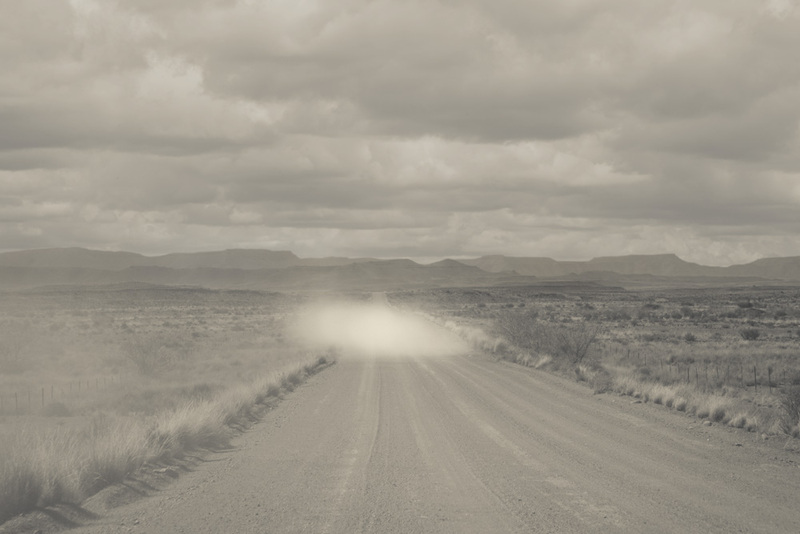 In preview, Alain Willaume, member photographer of Tendance Floue agency, agreed to share with La croisée des routes his portfolio Echoes of Dust and Fracturing which will be exhibited in Arles (France) this summer. « As part of the Transition, Social Landscape project, Alain Willaume was invited to consider the implications of an impending programme of fracking by the Shell Company in the semi-arid Karoo area of South Africa. Transition, Social Landscape is a rare collaborative photographic project carried out by French and South African photographers and focusing on the territory of South Africa. The project brings together works by six South African photographers (Santu Mofokeng, Pieter Hugo, Zanele Muholi, Cedric Nunn, Jo Ractliffe, Thabiso Sekgala) and six French photographers (Patrick Tourneboeuf, Alain Willaume, Raphaël Dallaporta, Harry Gruyaert [a Belgian living in France], Philippe Chancel, Thibaut Cuisset). Exhibition co-produced by the Rencontres d’Arles and the Market Photo Workshop. Exhibition catalogue published by Éditions Xavier Barral. Transition, Social Landscape will be exhibited at Rencontres d’Arles 2013 from July 1st till September 22nd, 2013 in Arles (France). Cette entrée a été publiée dans carte, exposition, photographie, et marquée avec alain willaume, désert, exhibition, fracking, karoo, photo, pictures, rencontres d'arles, slideshow, South Africa, Tendance Floue, le 28 juin 2013 par La croisée des routes.